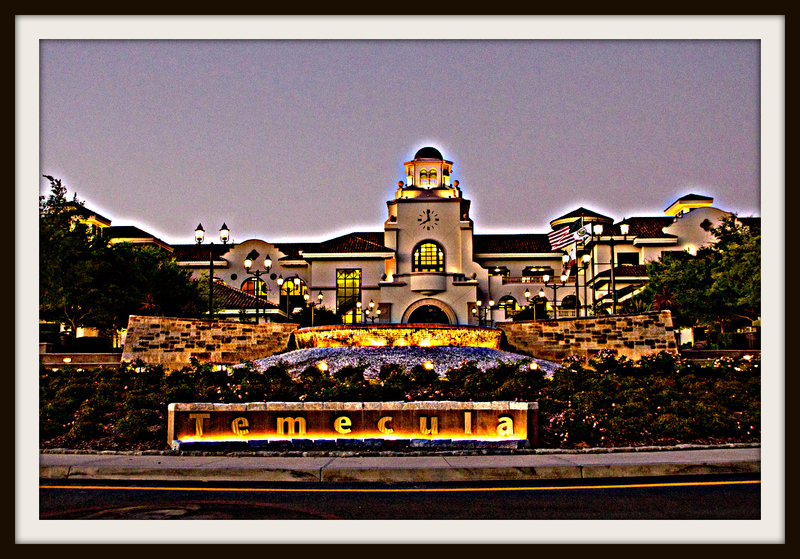 If you spend any time in Temecula Wine Country, you no doubt have passed the sign dozens of times, touting the imminent arrival of Europa Village. If you’re like me you’ve probably wondered when it’s coming and what exactly it is. I’ve had the good fortune to become acquainted with KK LaFournaise, Social Media and Web Marketing Strategist for Europa Village. Thursday was the first ever International #Cabernet Day and KK invited Roger Paige of SoCalWineNews and me to join them for a taste of their ’07 Reserve Cabernet. Roger and I sat and visited with KK and Managing Partner Denis Ferguson to learn about the concept that Europa Village represents. Master of Development Dan Stephenson was unable to join us, but we did the tasting at his home. 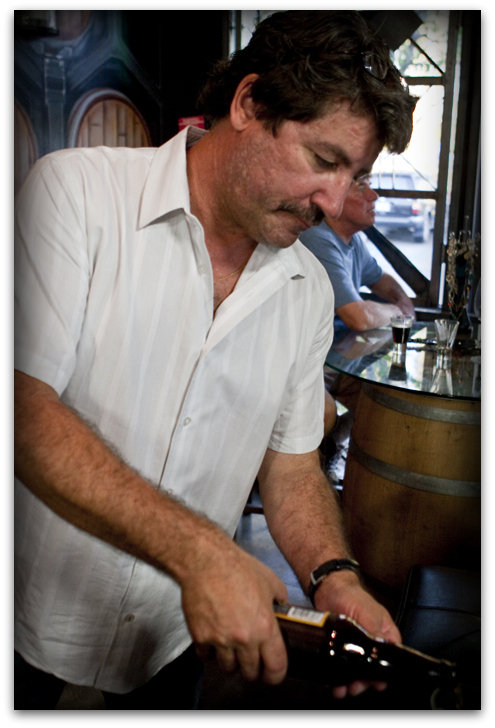 Three wineries will be at the heart of Europa Village: Bolero Cellars, C’est La Vie and Vienza. 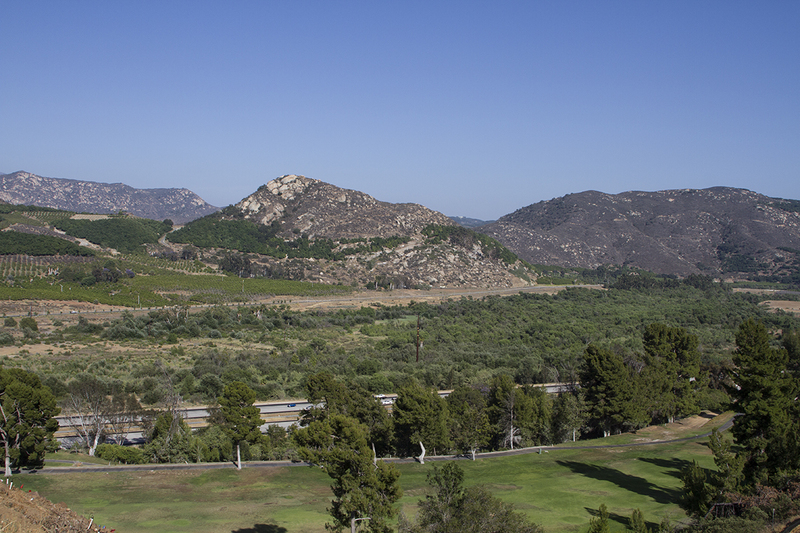 Bolero will produce Spanish wines, C’est La Vie will focus on French varietals and Vienza will produce Italian wines, overlooking the other two wineries and housing the winemaking facility. 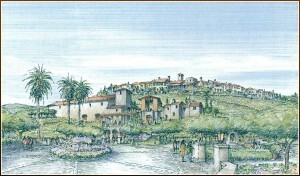 The village will feature the three boutique wineries along with a spa, accomodations, shopping and restaurants. The design is intended to represent a time gone by when the pace was slower. 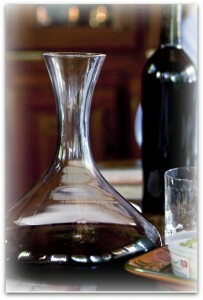 While we talked, we tasted the ’07 Reserve Cabernet. 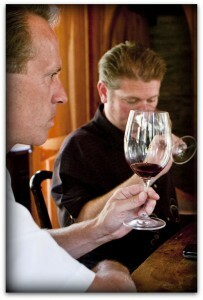 We were the first two people outside of the principals to get the opportunity to taste their wines. Roger and I both were incredibly impressed with the nose on this wine. We both spent some time soaking up the smells before we took our first sips. Dark fruits. Cherries. Plums. A hint of spearmint. The wine is young and will improve, but as it is now it’s got a great tannic structure and excellent balance and has a lingering finish. This will be a wine worth waiting for. 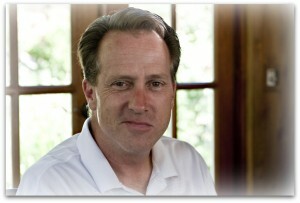 If the name Steve Hamlin sounds familiar to you, you probably are familiar with him from his time at Allie’s at Callaway and in Temecula near the Promenade Mall. 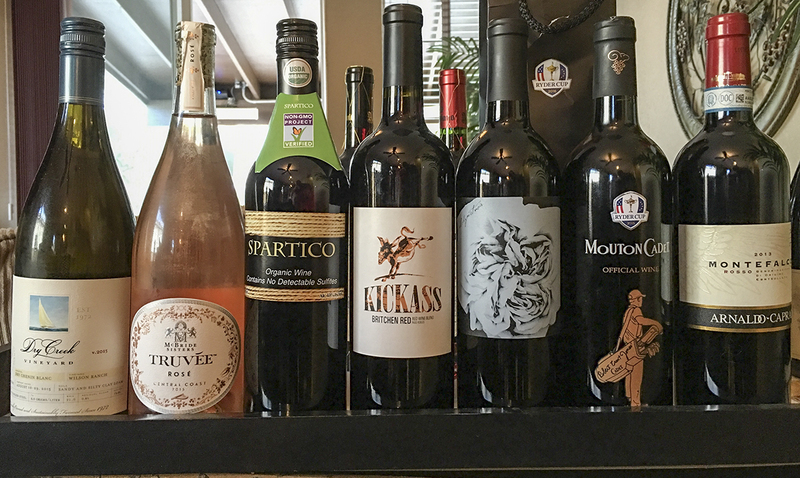 As a local culinary and wine expert, Steve was also invited to taste with us and he joined us in singing the wine’s praises. 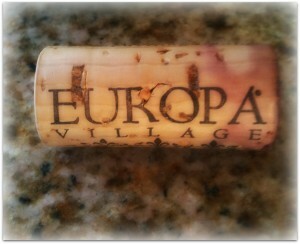 I think Europa Village is going to be a wonderful addition to the Temecula wine landscape and I look forward to their opening. 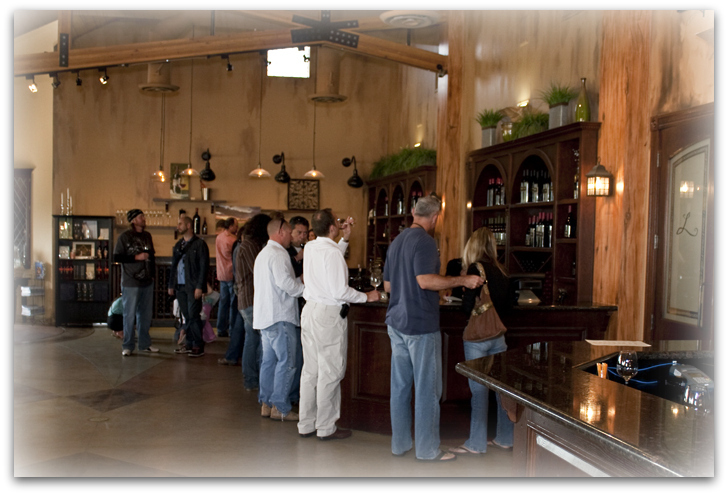 Plans now are to open a Prelude Tasting Room in the early part of 2011 at Europa Village and will then offer a glimpse of what is yet to come. 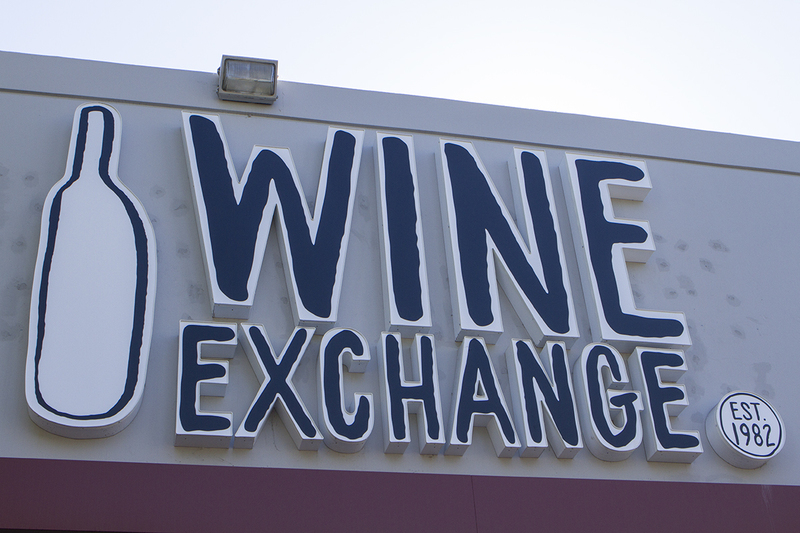 They are asking for suggestions for names for their wines and are offering a reward for winning submissions.Visit their Facebook page by September 6 if you think you have a great name for their wines.